Pennsylvania was first inhabited by a varied mixture of Native American tribes including the Iroquoian Susquehannock & Petun, Shawnee, Trockwae, Saponi and more before the 1600s, saw European interest in the region. The English, Dutch, and Swedes all made claims to the land with the Swedes becoming the first to make permanent settlement in 1638. However, in 1655 the Dutch took over the New Sweden settlement. The victory was short-lived, and as the British expanded their colonies in America, they defeated the Dutch and took control over the region in 1664. In 1681, William Penn, a devout Quaker, was granted the territory by King Charles II in lieu of a debt the sovereign had owed to his father. King Charles II named the new colony after Penn's father, combining it with the Latin word for woods or “forest land”, sylvania. Penn created a haven in the New World by granting asylum to the persecuted under conditions of equality and freedom. Tension grew between France, Great Britain and the colonies for dominance over Pennsylvania. In 1754, the Native Americans joined forces with the British Colonies’ other enemy, the French, and thus in 1756 began what would become known as the French and Indian War. The British won, and by 1776, the Province of Pennsylvania had become one of the largest English colonies in America. Pennsylvania’s residents generally rallied behind protests against the Stamp Act of 1765 (which required those in the New World colonies to pay taxes back to Britain) and the Proclamation of 1763 (which would outlaw private purchases of Native American lands, and create a boundary between the British colonies and the American Indian lands). Because of this, Pennsylvania played an important role in the American Revolutionary war between 1775 and 1783. Philadelphia, the state’s largest city, became the nation’s capital during the revolution until 1800 when the capital settled in the District of Columbia. In Philadelphia, the First Continental Congress took place in 1774 and the Second Continental Congress on May 1775, where delegates discussed matters that they would later draft into the Declaration of Independence on 4 July 1776. After the Revolutionary War, Pennsylvania became the site of many important events in American history. In 1780, Pennsylvania was the first state to pass a legislation to abolish slavery. Later in 1787, the Federal Constitutional Convention met in Philadelphia where it would later adopt the official United States Constitution on 17 September 1787. Pennsylvania became the second state to ratify the constitution, after Delaware, on 12 December thus gaining its statehood. In 1861, tension between the northern and southern states erupted into what would be known as the American Civil War. Because of its opposition to slavery and support of the federation, Pennsylvania played an important role in preserving the Union. Pennsylvania was the target of several raids by the Confederate States Army, the southern states in rebellion, and was used to shield the northern states. The state was also the site of the bloodiest battle in the Revolutionary War; the Battle of Gettysburg in 1863. Between 46,000 and 51,000 soldiers from both armies were casualties in the three-day battle. On 19 November 1863, President Abraham Lincoln delivered the Gettysburg Address at the site of the battle. The speech became one of the most famous and well known in the nation and addressed the issues of human equality that would impact the rest of American history. Economically, Pennsylvania was hit hard by a downturn in the steel manufacturing and heavy industry during the late 20th century which had been its mainstay, with the cities of Pittsburgh and Philadelphia facing increasing levels social unrest during the 60s and 70s. More recently the state’s economy has begun to recover, attracting immigrants into the region and programmes of gentrification and revitalisation are under way. Because of the Religious Freedom Protection Act passed in December 2002, Pennsylvania is known to be respectful of different religions. Half of the nation regards themselves as religious, with a majority being Protestant. Other religions such as Methodist, Jewish and Islam are also practiced throughout the state by minorities. The state is very diverse, its populace is relatively evenly split between conservatives and liberals and has a wide range of opinions. 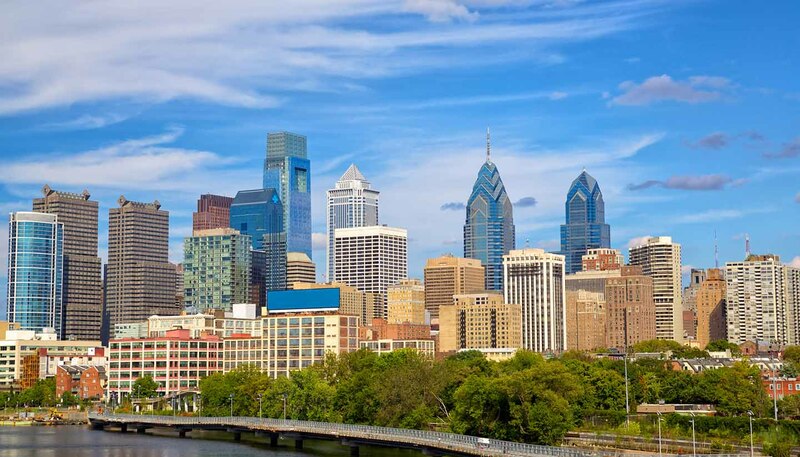 Philadelphia is known as a multi-cultural city with its distinct arts, music, and food culture. Higher education is highly regarded and Pennsylvania houses the well-known Carnegie Mellon University. English is the primary language spoken in Pennsylvania. Like most other US states, Spanish is also widely spoken. The Pennsylvania German Language is still preserved among the descendants of the Pennsylvania Dutch.